Pound/Euro rates have slipped after the indicative votes failed to win any majority. Yesterday, GBP/EUR was as high as €1.1785 however has since shed 1 cent, to bring the pair down to €1.1685. The Pound has also fallen by a little under 1% against most major currencies. 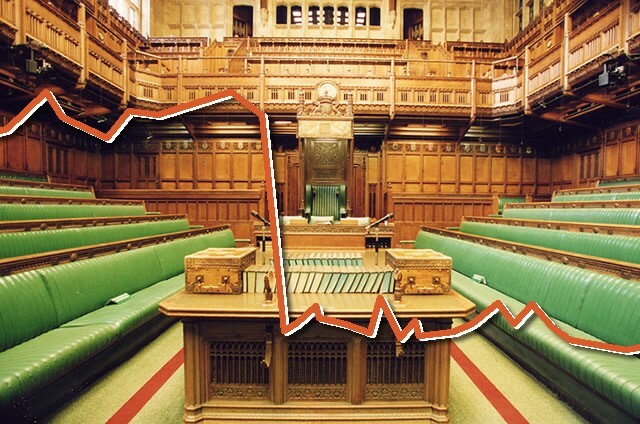 The drop in the value came after political events last night in parliament. Firstly the DUP are still refusing to support the withdrawal agreement despite Theresa May indicating she would soon step down. This reduces the chances of it getting voted through tomorrow. Secondly, parliament voted on 8 indicative votes last night, but failed to find a majority on any of them, showing that the process is still deadlocked. The Pound will continue to move on Brexit related events. There is still the chance that enough MP’s might support the deal to leave. If this is the case, the Pound is likely to go back up. If not, then there will be another round of indicative votes next week. Two of the votes only lost by a small margin – a Customs Union, and a confirmation referendum. There is a chance these could get a majority next week. If so, expect a very long delay to Brexit, and probably a general election. There is little point in leaving the EU while remaining in a Customs Union. This is because we would not be able to strike our own trade deals. In this scenario, there is little point in Brexit at all. The risk is that is what parliament drives forward, and then the public are faced with a confirmation referendum with a choice between Brexit with a Customs union, or remaining. Remain would be the choice between the two, but would likely create years of chaos. If parliament push the process in this direction, expect considerable uncertainty for the foreseeable future and the Pound dropping back away again. Hopefully the deal can get through, this chapter can be closed, and the Pound will push back to the €1.20 level. If you would like to discuss your currency requirements with an expert and see what rate we can offer you, contact us today.